Offering Purebred German Shepherd Puppies for Sale that are AKC registered with a written guarantee. 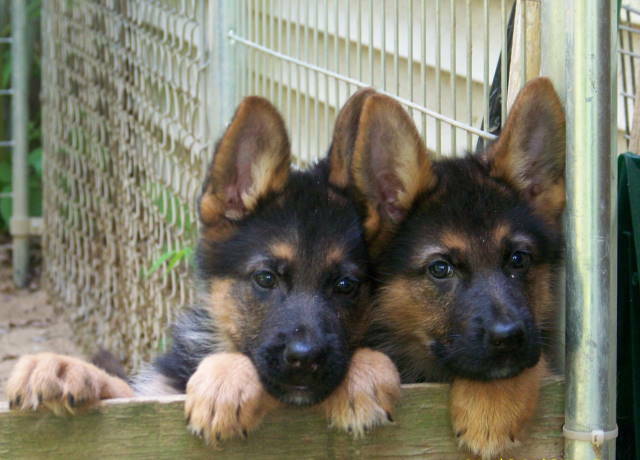 We are a German Shepherd Breeder that is dedicated to producing Purebred German Shepherd Puppies. Our German Shepherd Kennels are located in Southwest Michigan and we offer shipping nation wide, and a delivery service within a 200 mile radius, that would include the Chicago area, Indianapolis area, Detroit area. We created this German Shepherd Kennel for the serious German Shepherd enthusiast who is committed to maintaining these world class pedigrees, and working heritage set forth over a century ago carried on through the Verein Fur Deutche Schaeferhunde Club. 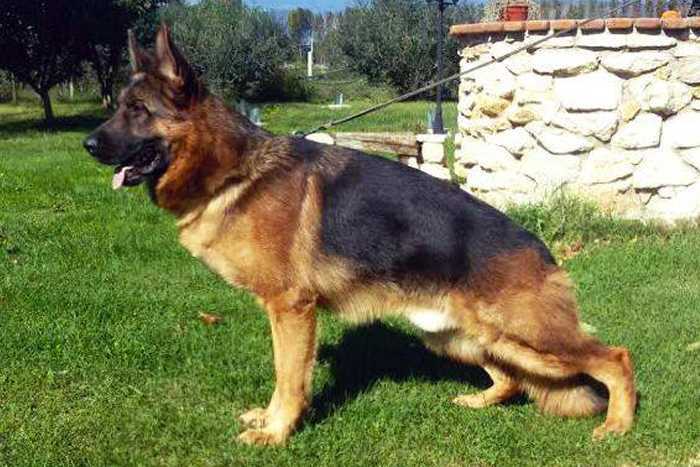 We are devoted to utilizing world-class Imported German Shepherd Dogs out of the top-producing West German Sieger Lines. Our commitment is only matched by our love for the breed and its extraordinary capabilities. The resulting world-class German Shepherd Puppies out of these top VA and V rated Champion, Schutzhund-Titled, Imported German Shepherd Lines embody the best of the breed. The bloodlines and show lines expressed in these coveted Vorzuglich Auslese “Excellent Select” and Vorzuglich “Excellent” ratings are borne out in puppies that are stunningly beautiful and agile, highly intelligent, and structurally correct, with superb and predictable temperament; everything a quality German Shepherd Dog should be. In Germany Purebred German Shepherd Breeders would be required to show their dogs at the German Sieger Shows to obtain breeding titles, which would continue to improve the breed. The highest title that can be obtained from the German SV is VA1. A Kolenda German Shepherd is bred to the Highest of standards. 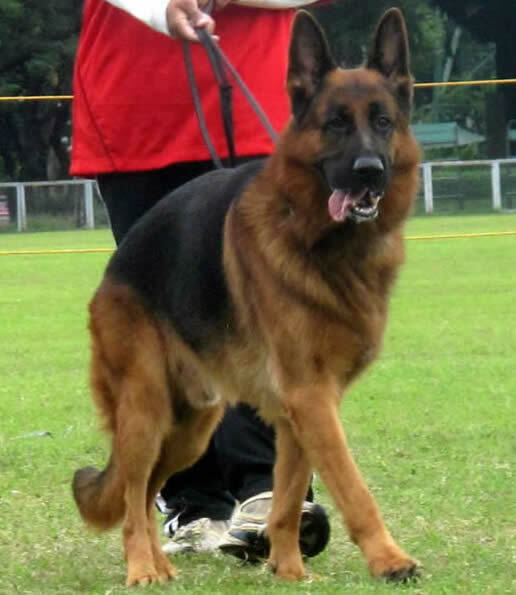 Breeder of VA1 Sieger Ilac vom Kolenda 2010 Philippines. VA1 Wupp von der Urbecke SchH3 Kk1 a Canadian Sieger 2003, North American Sieger Show. SG 32 World Sieger Show Germany. VA4 Taifun vom St. Michaels Berg – V31 World Sieger Show. Purebred German Shepherd Puppies from Kolenda Kennels. At Kolenda Kennels we DM test all of our Breeding Dogs, Males and Females. (DM) stands for Degenerative Myelopathy. We recommend K-9 Specialist – Trainer Al Casimiro who has been in business since 1992 for High Level Obedience & Protection Work, located in West Michigan. 616-212-3054. 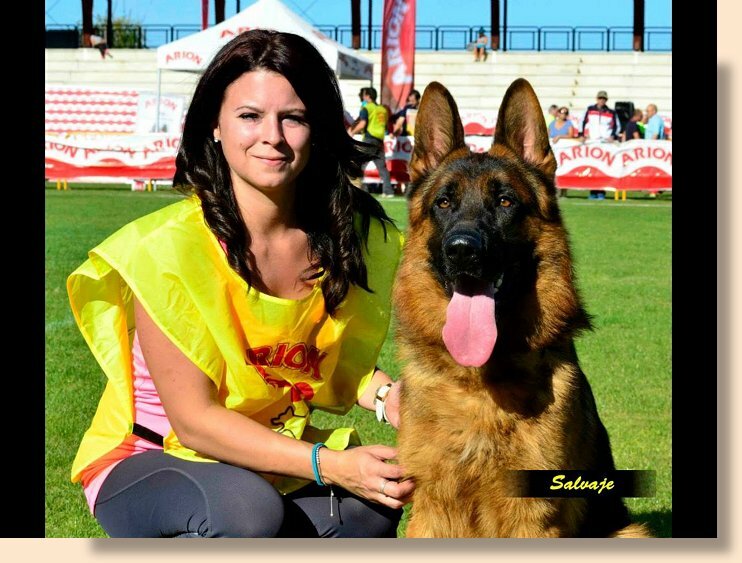 Al has trained several Kolenda Dogs to the highest level of protection, receiving all of the protection titles. Uran is the father of Vise World Sieger VA2 Quenn vom Loher Weg~2007 Germany. Uran’s Progeny: Son~ Vise World Sieger VA2 Quenn vom Loher Weg~2007, and Grandson’s ~VA9 Godalis Tino World Sieger Show, VA10 Tyson vom Kottersbusch World Sieger Show Germany~2008. There has only been a few stud dogs in the history of the breed that have ever produced a vise world sieger and Uran is one of them. 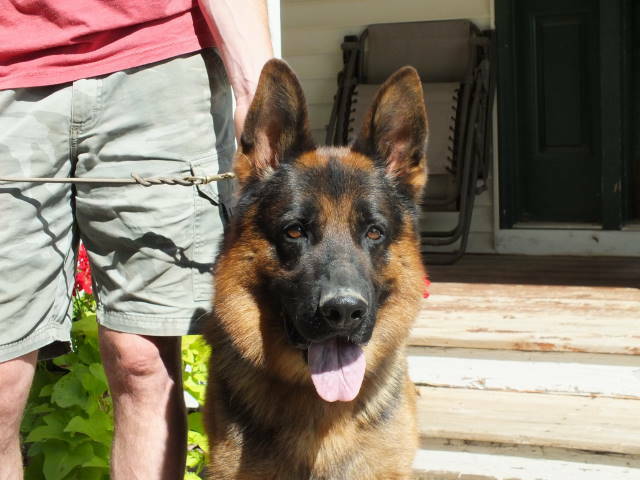 Kolenda Kennels is a German Shepherd Breeder that is a personalized kennel and dedicated to improving the breed, located at 2157 138th Ave Dorr, Michigan 49323, located in Grand Rapids Michigan area. When buying a puppy it is a good ideal to visit the kennel. You should be able to interact with their dogs, especially the mom and dad of the puppy you are considering. This is the only way to check the temperament of their breeding dogs. By visiting the kennel you can inspect the cleanliness of the facility, and how the puppies are being taken care of. You can interact with the puppies and also, check the temperament of the puppies themselves and over all health. By visiting the kennel you will also be able to see the over all looks and structure of the breeding dogs. By doing these things this would help improve the German Shepherd Breed itself. It would make it difficult to breed and sell inferior puppies, which would help keep the breed from deteriorating. When my wife and I decided to make being German Shepherd Dog Breeders our full time career we decided to put together a German Shepherd Kennel that is dedicated to breeding the best Imported German Shepherds. This way, we could offer this beautiful, outstanding tempered dog to the public. 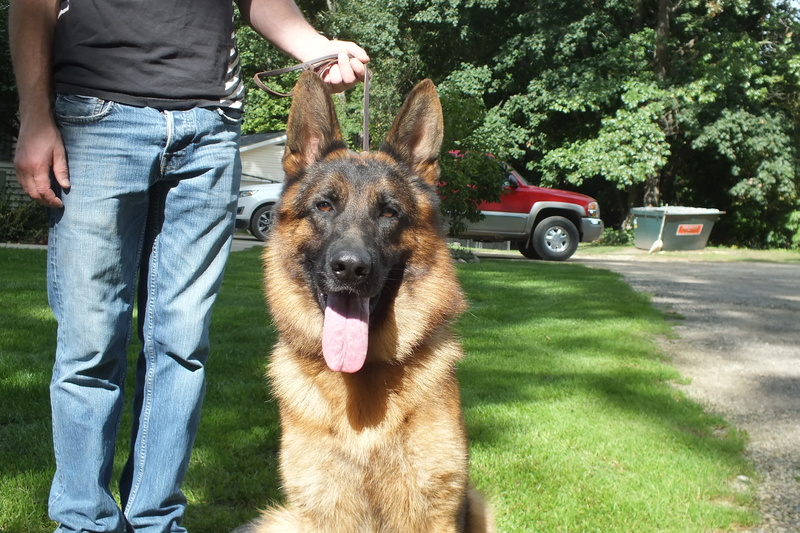 At our Michigan German Shepherd Kennels we carefully select our dogs and breeding’s. Our German Shepherds are out of World Sieger Pedigrees. We had our kennel professionally built for the purpose of maintaining and housing our German Shepherds in Michigan. Our Kennel has large pens and is meticulously cleaned and sanitized daily by us. Our dogs also have wonderful exercise runs to play in, as you can see in our pictures. We are a German Shepherd Breeder breeding with imported German Shepherds our sires are VA & V rated and are of the highest quality possible. Our female German Shepherds are always bred to V rated or VA rated sires, that are IPO/ Schutzhund titled and imported from Germany’s best kennels. We would like to thank you for taking the time of visiting our web site and encourage you to contact us if you have any questions. Kolenda Kennels is a Professional German Shepherd Breeder and is one of the very few Professional German Shepherd Breeders that makes Breeding German Shepherds their full time career, to insure that we are available for our German Shepherds and clients. 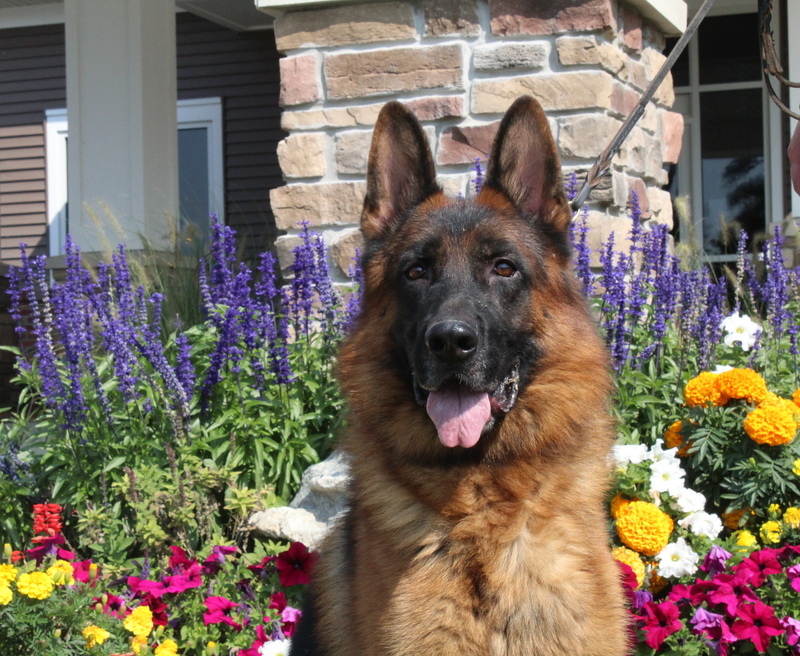 Kolenda Kennels was one of the first Purebred German Shepherd Breeders in Michigan, Breeding with the finest West German Imported lines, using VA & V rated males. Sieger Shows are away for responsible German Shepherd Breeders to compare their breeding program and quality of their dogs to learn and gain knowledge to better the breed. 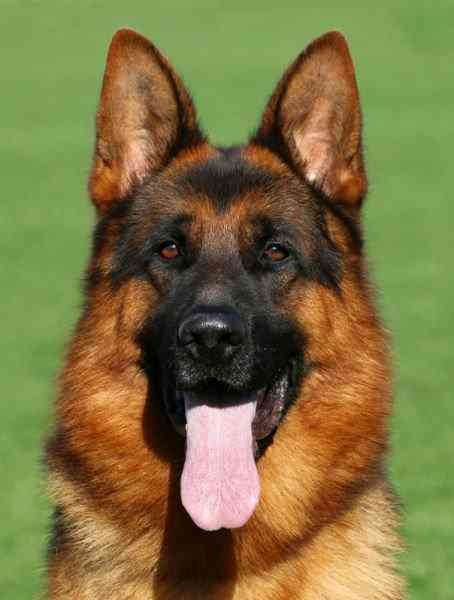 Our import German Shepherd K9 Dogs make wonderful family pet /companions and/or personal protectiondogs! German Shepherds make great guard dogs for home protection/ family protection. 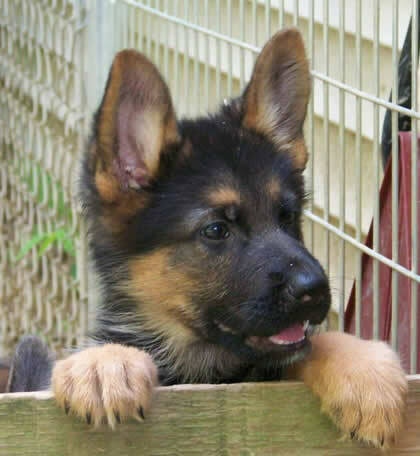 Our Purebred German Shepherd Puppies for Sale in Michigan are bred using World Class Imported German Shepherds that are out of the West German lines. Producing puppies that are black and red in color with correct structure and superb temperament. These puppies make excellent family companions, therapy dogs, seeing eye dogs, and sometimes are used as German Shepherd Police Dogs, Security Dogs, Protection Dogs, drug sniffing dogs. Our puppies have been used with tremendous success as Show dogs. Our Stud Dogs, Breeding Females are out of the Top Producing dogs in Germany. Our Males are titled to German SV Standards. When looking for German Shepherd Puppies for Sale it is best to educate yourself with pedigree’s and the German titleing. You can do this by going to our Standards page, Terminology page, and GSD Facts page. Kolenda Kennels is one of the the best German Shepherd Breeders in the U.S.A. and considered by many to be the top German Shepherd Breeder in the United States. 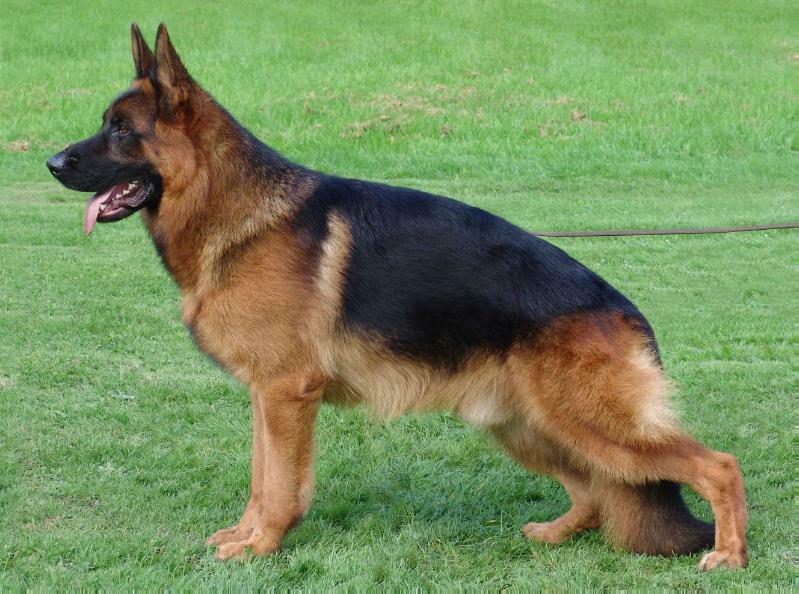 Our breeding stock is always out of World Champion German Shepherd lines. 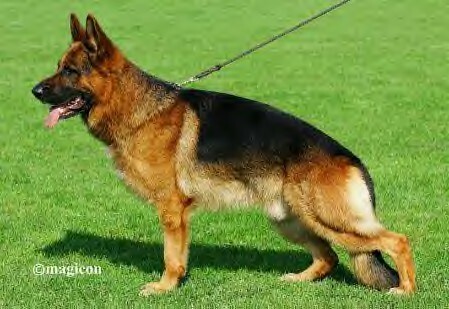 We have owned some of the Top German Shepherds in the World. We are an AKC reputable German shepherd breeder. German shepherd puppies for sale in Grand Rapids Michigan. We sell our German Shepherd Puppies in the U.S.A. Our U.S. Bred German Shepherd Puppies are mostly sold in the United States but sometimes world wide. 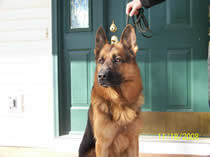 Our Purebred German Shepherds are imported from Germany. Our AKC German Shepherd Puppies are sold with full registration. Our Purebred German Shepherd Puppies from Kolenda Kennels are Black and Red, Big Boned, Correct Structure with superb Temperament. Your Puppy from Kolenda Kennels will make a wonderful family companion. 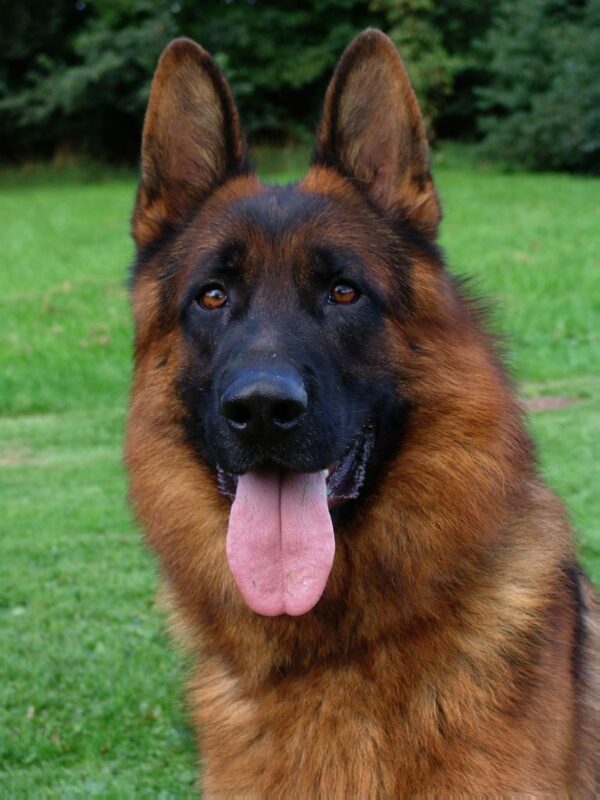 Our German Shepherds have a wonderful temperament making them perfect family companions and pets. German Shepherds are known for their natural protection and loyalty to their owners. Our beautiful Black and Red German Shepherd puppies are a perfect addition to a loving family. Only the Best German Shepherd Breeders would use Imported IPO/Schutzhund Titled German Shepherds, that are VA & V rated for breeding. 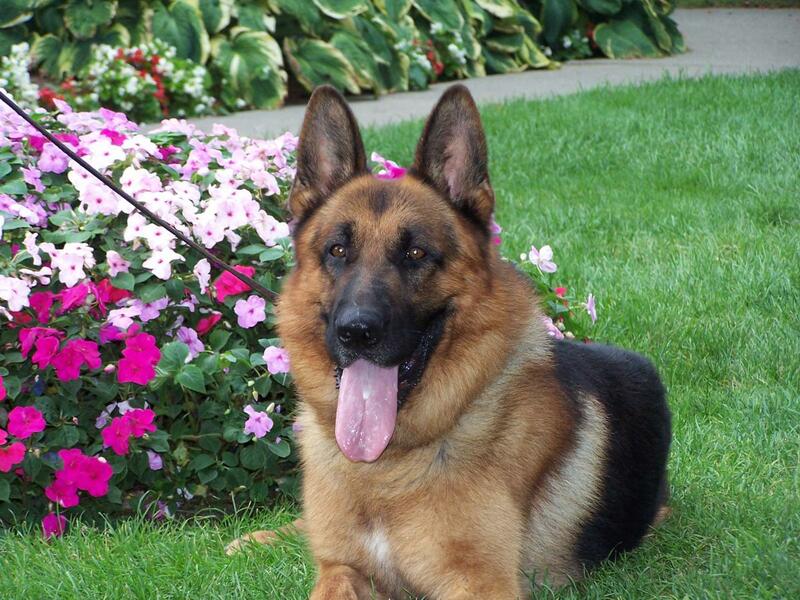 We are considered one of the Top German Shepherd Breeders in the United States. Our German Shepherd Puppies for sale in the United States are of the finest quality produced in the world. Kolenda Kennels can Import German Shepherd Puppies upon request. We have German Shepherd Puppies that are bred out of our Imported German Shepherds, they are the West German Lines. Our Puppies are AKC registered and come with a 5 year written guarantee. Check out our German Shepherd Puppies for Sale on Facebook. We are one of the few Michigan German Shepherd Breeders that competes in the German Seiger show’s here in the United States and in Europe. 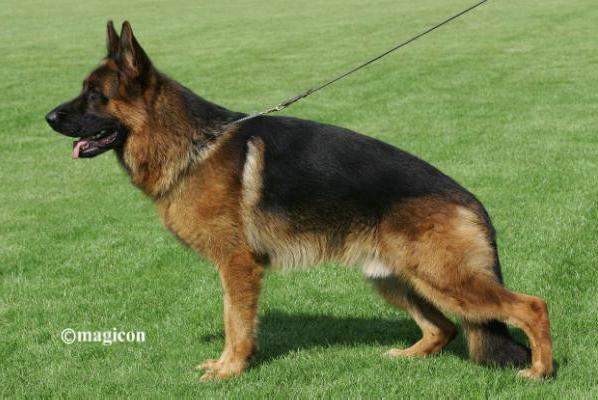 Our breeding stock has been bred to the highest SV German Standards. The internet is an excellent way to find Reputable German Shepherd Breeders, the information they provide can help you make an educated decision regarding this wonderful breed. Top German Shepherd Breeders can be found on the internet, but it is still a good ideal to go to the facility to check out the dogs, and conditions. Any Top German Shepherd Breeder would welcome this. Our German Shepherd Puppies for Sale in Michigan can be delivered to Ohio, Indiana, and Illinois, for an agreed upon fee. Arum at 12 months of age. Professional breeders breeding with VA & V rated genetic’s produce quality puppies. We are one of the top German Shepherd Breeders in the United States, and sell and ship our puppies Nationwide. Because we are Professional German Shepherd Breeders, we always have German Shepherd Puppies for Sale, all puppies are socialized, vaccinated and micro-chipped, AKC registered, and ready for their new homes. Copyright ©2001 - 2019 Kolenda Kennels. All Rights Reserved.